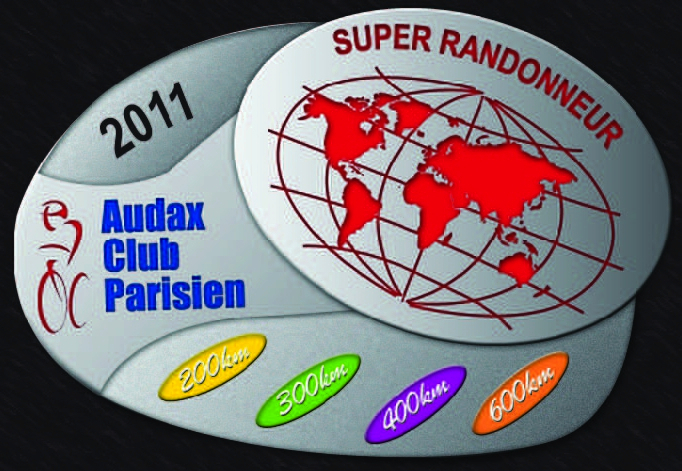 To earn ACP Super Randonneur status riders need to complete and entire Brevet series (200K, 300K, 400K, 600K) i one calendar year. To earn the new KR5000 award, riders need to complete an entire Brevet series, a Fleche, a 1000K, the Korea 1200K Grand Randonnee and an additional 1000km in Brevets. This has to be accomplished in 2 successive calendar years. We anticipate to crown the first KR5000 winners later this year. Sign up for the 1200K and the 1000K SBS! 같이간 친구들은 메달을 우편배송 받았는데 전 아직 못 받았습니다. 며칠 전에 메달을 우편으로 발송해 드리면서 300k 메달 개수가 조금 모자라서 몇 분은 바로 보내드리질 못 했습니다. 안타깝지만 그 분들은 ACP에서 추가 메달들을 받을 때까지 한 달 정도 기다려주셔야 할 것 같습니다. 안녕하세요! 완주 메달과 관련하여 문의드립니다. 천안 200, 300 완주 메달은 언제쯤 받을 수 있는지요? 300k 완주자 몇 분의 메달을 제외하고는 며칠 전에 우편으로 발송됐다고 알고 있습니다. 등록 때 적어주셨던 주소로 금주 내로 도착하지 않는 경우 wariua앳gmail닷com으로 회원번호와 함께 메일 부탁드립니다.